Most sane people would not do this much at once, but I'm not most people. At times I'm unsure if it's a good thing, but this is how I've lived my life and things are good! I recall Adam Robinson talking about 2018 being a fulcrum year on Tim Ferris' show and I was definitely feeling that in my life mid 2018. He talks about the moments coming every so often in life and they hold a lot of opportunity. It's his opportunity that thrust me towards all of this change. Deep down I new it needed to happen, but I resisted and tried to take it "slowly" and controlled. Just like my brain would want...safe. This was not to be. To be where I wanted to be and have opportunities I wanted to create for my family, everything needed to change. Regarding homes, we went from one acre, 3500 square feet 5 beds and 3 baths to no yard and 2000 square feet with 4 beds and 3.5 baths. I used to not hear any road traffic and now I hear it all. My sleep is not the same, because my brain is still trying to categorize the new patterns relative to my safety. I'm mostly a country boy. I love nature, the sound of rivers, streams, oceans, the wind through the trees etc. That said, I do enjoy the city and having been in the "city-country" for ten years, I was game for a change. I'm someone that needs change in life, so I've been excited about the move. This also creates an opportunity to pursue buying a ranch, but that will have to wait. The driving situation alone is incredible regarding getting kids to school. We're getting three hours a day back, spending less on gas, tolls, and food/places to be with wifi. This has also created an interesting opportunity for me to look at startups in the city that would allow me to bike a mile to work. If this were to play out, it would be the shortest commute of my life and is exciting. I'm at a point in my life where I value time more than working for a specific company or role. If it's close and aligns, then I could be interested. Regarding entrepreneurship, I love it! There's nothing like growing and earning through your own business. It's a different kind of stress, but it's certainly a motivating one that holds much more personal growth than a corporate gig (in my opinion). I relate it to others through the difference in eating the food in a village versus producing/finding the food for others in the village to eat. There's a comfort knowing food will be there when it's provided and there's no need to make drastic change in this comfort. Hunger and the responsibility to keep others alive/fed will motivate in a very different way. When I was young, I heard someone say "if you're not growing you're dying" and I've come to believe and experience this. Although I was growing in the corporate world, it had slowed to a rate that was holding me back. It also did not provide me the time that I wanted for myself and my family. It eventually came to a head mid 2015, and I knew I needed to get out in order to start a new story. Leaving is what I needed to focus on creating something new and to learn from the process. It's also what I needed to put me back into a state of discomfort to motivate me through the struggle. I needed to be reminded what it felt like to be without and to not have that comfort. I needed to be hungry again. Ultimately workload, family, and pursuing two certifications forced me to shelf this. I was not able to prioritize the breathing and other practices, nor was I able to be scientific in measurements. With everything left to experiential alone, I can say going into winter I was able to tolerate the cold in 30 degree Fahrenheit weather like never before. I simply did not get cold as I did in the past. Being in Texas, I turned a lot of heads, because it’s just abnormal for someone to be out and about in shorts and a tee shirt. I don’t really get sick, so I can’t say I experienced my immunity getting better and I was not measuring gains or focused on a specific body fat percentage, so I can’t say anything changed there. Energy was great throughout the whole period and a cold shower will certainly get you going in the AM, but I can’t offer any qualitative changes there either. The biggest change was simply resilience in the cold. This is me taking a position to say it does not work, but rather saying my ability to execute and measure was very limited. It’s ultimately why I stopped prioritizing it, because I could not measure the results and speak to the experience of it in the way that I would like. The experience and feeling are still with me though and I will have some time freeing up in the near future. I will be taking some time off to recharge after completing my certifications, but it’s also an opportunity to bring something like this back if the timing is right. The science of it is still very compelling and the novelty of the experience is fun as well, so I definitely suggest trying it out, but if you’re like me and want the quantitative measurements, then make sure you’re budgeting the time for it. Paleo Friendly Ponce Market is a must! 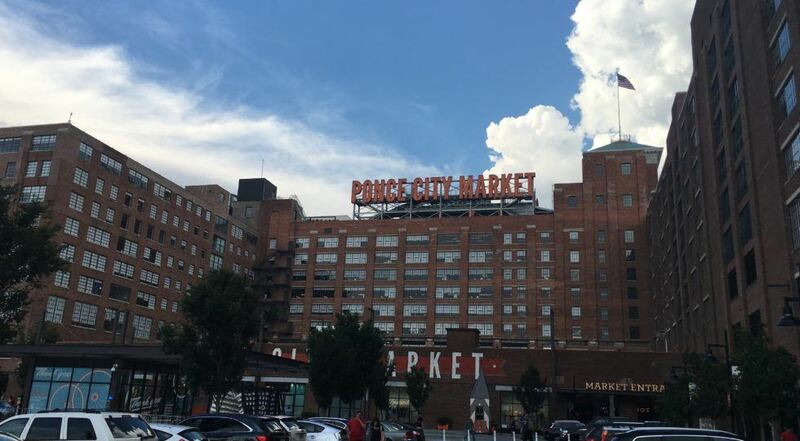 Ponce Market in Atlanta is a must see spot. Ponce Market is in the landmark Sears Roebuck & Company building in the Old Fourth Ward. The restored building houses an incredible unique food hall serving quality cuisine that you won’t find elsewhere. There are retail shops as well, but I never made it past the food. Anyone following a paleo or bulletproof diet like myself will be happy to find plenty of options. There’s a busy noise for children to drown out in and the environment is kid friendly. This was a plus for us, because we had quite a few with us. The market sits on Atlanta’s growing BeltLine, a former railway corridor now serving as a multi-use trail. We took the opportunity to go for a walk after grazing for a bit. Despite the southern heat, there were a lot of bikes and pedestrians on the mile stretch that we walked. I can tell the the BeltLine has more to offer, but we were there for the market. The Bulletproof Diet Compliant Biltong Bar! My favorite place at the market was the Biltong Bar. I don’t drink alcohol, so the bar was of no interest to me, but my oldest son stopped in there and left with food called biltong that I later devoured. It was new for me, so when I went back for more I took some time to learn. 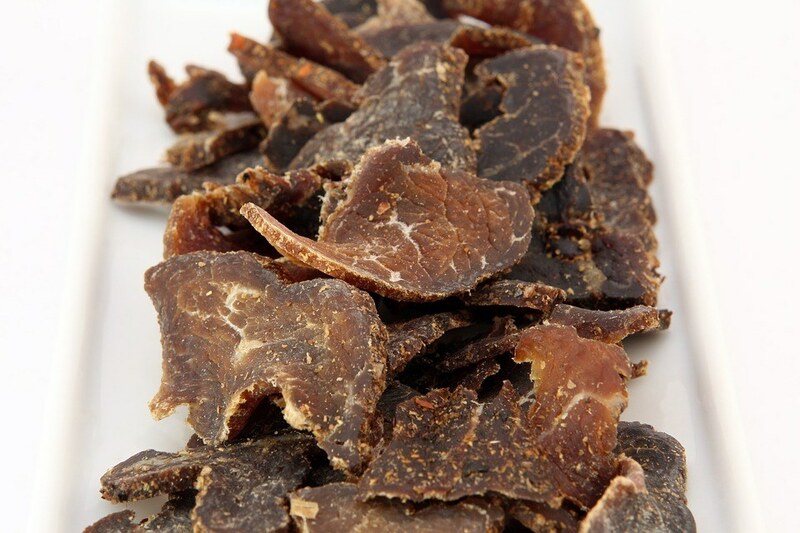 Biltong originates from South Africa, Zimbabwe, and Namibia and is a jerky-like cured meat. It’s more common in South Africa, but is spreading throughout the world as they immigrate with their culture. I follow the Bulletproof diet, which could be described as a modified paleo diet with more restrictions, so I was happy to find the beef served at the Biltong Bar was 100% grass fed and locally sourced. The biltong was served in thin sliced strips and tossed with herbs and spices. We got ours with fat-on as that was an option and it was 100% grass fed. Always go with lean meats when that’s not the case. 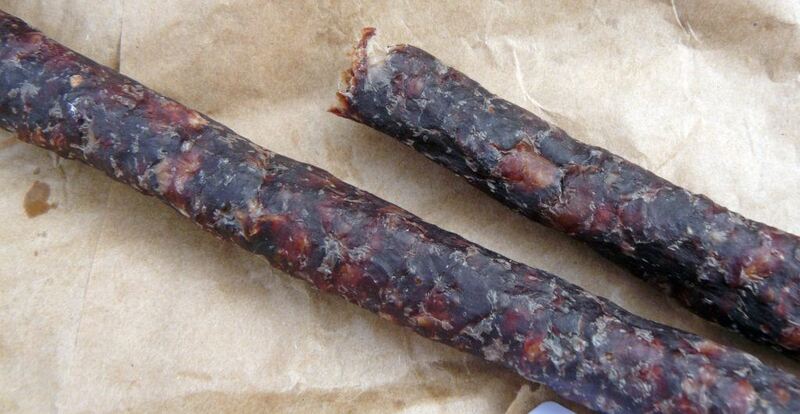 Along with more biltong, I also decided to try droëwors (pronounced drovers I believe) and this I fell in love with. It’s a cured sausage, maybe one or one and half centimeters in width. It has a prominent coriander flavor and had more fat in it making it soft and rich. I’m currently searching on how to get this in Texas, so please reach out if you’re aware of good options. I’ve found both biltong and droëwors on Amazon by Ayoba-Yo and Biltong USA. From the little reading I’ve done, I’m leaning towards Ayoba-Yo, but will continue to research options. Sticks of droëwors cured sausage. Due to the nature of our trip, I did not have enough time to fully explore Atlanta. We quickly visited the Little Five Points, spent some time at Martin Luther King’s original house, and drove around a bit. There’s so much to do that I could probably spend a month there and still be writing about it. I know I’ll be back, but for now I highly recommend Ponce Market to anyone visiting Atlanta and be sure to try this South African treat while you’re there. Can’t wait to get back and see more of the city! Want to own your body’s immune response? If you’re unfamiliar with Wim Hof “The Iceman”, then do more reading. He climbed Everest and Kilimanjaro in shorts! He also holds 21 records for cold exposure. Start with his site wimhofmethod.com and consider his book, jointly published with Justin Rosales, “Becoming the Iceman”. Get the science from the 2014 study by Matthijs Kox. The high-level summary is that the sympathetic and immune systems can be voluntarily influenced. Before this study it was believed to be impossible. Wim has been successful in biohacking his body to provide anti-inflammatory responses using cold exposure therapy. Exposing yourself to the cold is outside of most people’s comfort zone. Even now you may be asking yourself “Why would I want to consider cold exposure therapy and what do I have to do to become the iceman?”. Know that your comfort zone cares not about your success, it only cares that you’re “safe” and comfy. He has climbed Everest and Kilimanjaro in shorts! The potential benefits of the study are rather interesting. Inducing your body to create an anti-inflammatory response could provide paths to deal with various conditions involving high or chronic inflammation. This applies to conditions such as asthma, arthritis, and other auto-immune conditions, of which I’ve personally dealt with. The Wim Hof Method to become the iceman consists of specific activities centered around three pillars. They describe the pillars as Cold Therapy, Breathing, and Commitment. Most of the action is around the first two with commitment being a need for any new practice. There are plenty of practices around commitment, creating habit, and increasing focus, but for this post I’ll focus more on the other two pillars. Sure, I can practice breathing! I can meditate here all day! Starting with the Breathing pillar, this consists of three breathing exercises referred to as 30 power breaths, the hold, and recovery. You can read full detail on Wim’s site, so I’ll continue to summarize here. The power breaths are supposed to be done as if you’re blowing up a balloon inhaling through the nose or mouth followed by a powerful exhale. After the last of the 30 you take in one deep full breath, exhale completely and now you’re in the hold. In the hold you want to relax and stay there until you begin to experience the gasp reflex. When you’re ready to inhale again you’re entering the recovery phase. You’ll take in a full expansive breath and hold it for 10 seconds and then exhale completely. From here you start over for two more rounds and then take your time recovering and observing the effects. 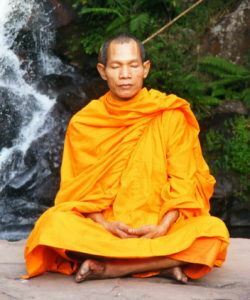 A study from Carnegie Mellon University found that meditation and a practice of mindfulness reduces inflammation by calming the immune response. This anti-inflammatory response is caused by a change over time in the brain’s functional connectivity. 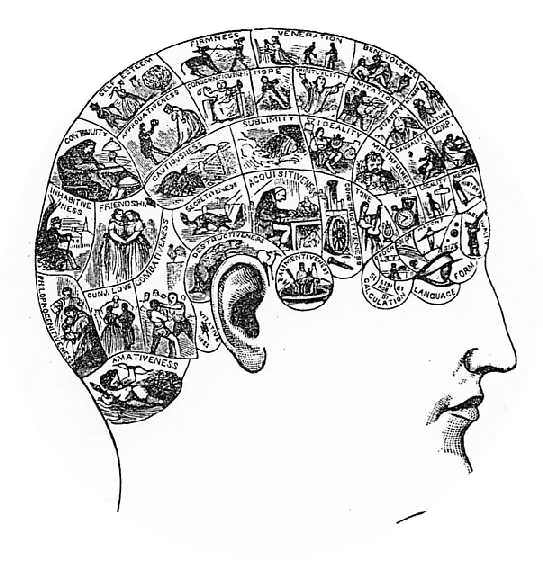 Even if you don’t go for the cold exposure therapy, it’s simple biohacking to alter your brain in a positive way using this practice. Most people do not practice breathing, so this may be out of your comfort zone. If it is, then you need to do this just to practice embracing discomfort. 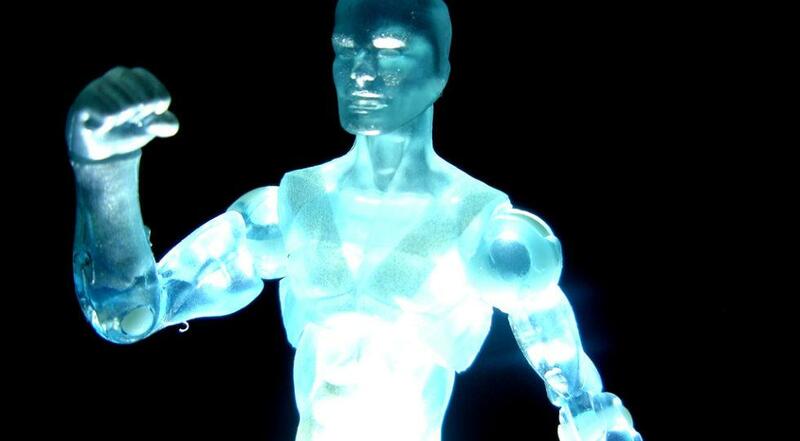 Now comes the cold exposure therapy part and the true path to being an iceman! This is where most people will back away, so I’ll challenge you to stay openminded. There’s no doubt that cold exposure therapy will create discomfort, but resist the urge to say no and walk away. It’s in discomfort that we find true growth! Our comfort zone is currently in the way. This is a much longer conversation that goes outside of this post, but most everything from exercise at the gym, public speaking, and learning a language feel uncomfortable until we spend enough time there. You can read more on this in one of my series about increasing self-awareness. It’s worth mentioning that the breathing practices serve as great biohacking to assist with self-awareness related work. It’s in discomfort that we find true growth! We’ve known about the anti-inflammatory effects of cold exposure for quite a while now. Athletes have been using it for years to recover from injury and muscle soreness much faster. We’re talking about taking this concept further. For those that have no experience with deeper cold exposure therapy, Wim suggests starting with 15-30 seconds of cold water at the end of a warm shower. Ease into it starting with your legs, arms, and eventually your torso and head. Focus on your breathing and work to maintain a regular breathing pattern. Your comfort zone will be not be happy with this! Your body will respond appropriately, and try to keep you safe, by having you gasp and retreat. By focusing on your breath and staying in discomfort you will eventually communicate to your brain that all is well and you know what you’re doing. This is where true biohacking is achieved. Your body will respond appropriately, and try to keep you safe, by having you gasp and retreat. Anything involving a physiological change, such as building muscle through weight training, takes time and cold exposure therapy is no different. Do yourself a favor and start slow and be patient. I won’t go into detail about the other exercises covered in the book, but they involve exposing hands, feet, and later on your whole body to ice and/or ice cold water (i.e. 40 ˚F). 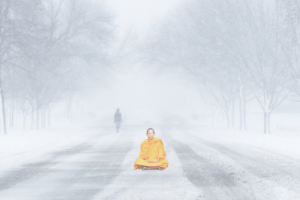 Some practitioners may take their biohacking to higher levels and get involved in running barefoot in the snow wearing only shorts, meditating in the snow until it melts, swimming in frigid water, and more. I personally skipped straight to the cold exposure. It had been on my list from previously hearing others like Tony Robbins, Tim Ferris, and people I knew or encountered that spoke about the benefits. I’m usually game to try anything and it’s certainly an exhilarating way to start your day! I’ve had plenty of experience with breathing from practicing both yoga and mindfulness, so those exercises were less of a priority for me since I was already getting anti-inflammatory benefits from them. That said, I do not pretend to think the breathing is not a critical part of this and will be starting with that very soon. I began with straight cold showers at the beginning of June (so roughly 30 days ago), but shifted to doing it at the end of a warm shower. My reason for the change was to improve consistency. Strangely enough (he says in a sarcastic, but amusing tone), sometimes I did not want to shock my body with cold water, but I could always convince myself to do it after the warm shower. The gasp reflex was much stronger when I started, but now I barely feel my breath being affected. Before, I was able to focus on the breath and push past the response, but the reaction from the body was strong and lasted longer. My comfort zone has already changed and continues to do and I expect I’m already getting anti-inflammatory benefits from the little progress I’ve made. With more time and patience this will only get better. I no longer mentally have to brace for impact and actually look forward to feeling the cold. Potential Biohacking Combo to go Faster? Towards the end of the month I actually started combining the cold shower with EFT (emotional freedom technique), or tapping, as a way to reprogram my body’s interpretation of the discomfort. EFT is also a bigger topic that I won’t go into detail about here, but the premise is we can affect the interpretation by tapping on meridians to excite the nervous system in a manner that removes the negative association with a certain feeling. For doubters of meridians and such stuff, you’ll want to read about the primo-vascular system. EFT is another great tool for folks interested in biohacking. There’s no harm in experimenting with it, but it does feel awkward at first. After practicing EFT during the cold shower, I can say that the apprehension and negative feeling prior to switching the water from hot to cold is gone. I no longer mentally have to brace for impact and actually look forward to feeling the cold. This is good news, because the cold exposure therapy will only get more intense. The only way to make progress is to continually challenge my comfort zone. The benefit of the anti-inflammatory effects are greater than my desire to be comfortable, so I don’t expect this to be an issue. Iceman Status…what’s next for me? I live in North Texas and it’s summer. There’s not a lot of natural ways to practice biohacking with cold exposure therapy. That said, it does get very cold in the winter with the temperature and wind chill combined. On a recurring basis we get snow as well, so I’ll have plenty of opportunity to do iceman practice this winter. In July I’ll start the breathing practices and begin working back to straight cold showers. In August I plan to work with direct ice exposure and ice baths in preparation for winter. By winter I’d like to be watching my oldest son play soccer in my shorts and a t-shirt! Usually I’m in ski clothes, so it will be a good test and put me way outside of my comfort zone. Based on my reading it seems possible, so why not go for it! The anti-inflammatory benefit is worth it. I don’t have a set plan for the number of posts in this series, but intend to share on my biohacking progress in decent increments, so stay tuned and subscribe if you’re curious to see how this goes! Check with a doctor etc. first! Journal about your experiences and share! There’s simply too much stuff to think and write about! There’s a lot of stuff that interests me that I would like to share and write about. The problem is that it would not go well with my work related blogs. Finding myself becoming increasingly frustrated, I realized I just needed to start my own blog. I have to credit GoDaddy for telling me my full name was available, but that aside it was the only way forward. I needed an outlet for the millions of thoughts, topics, interests etc. to reside, so here’s a list of the diverse topics. Probably I’m forgetting stuff, but you get the idea. Art – All kinds…the normal traditional stuff like paintings, sculpture, etc. and graffiti, tattoos, comics, etc. Active Lifestyle – Hiking, kayaking, skiing, camping, etc. Coffee – roasting, making, shops, etc. Copyright 2017 The Blog of Author Kyle Scarmardo. Stay up to date on our posts and other news!